“From Holmes to Sherlock” is a book that reveals the story behind the character ‘Sherlock Holmes’ — the inspiration, the creation and the evolution over the last 130 years or so. We get to hear the stories of the people involved, their lives and death, motivations, feuds and collaboration. The life of Conan Doyle and his progeny and their involvement with the estate is explored in detail. Copyright battles, the need to keep Sherlock Holmes authentic while eking out every penny, the fights between the heirs of the estate is revealed. Next, we get to see the evolution of the Holmes pastiches, parodies and reproductions across the world. The clubs and societies that have sprung up and their workings and influences. The lives of the people involved in all the above activities (no matter how small) form the basis of this book. The book is broken down into 8 parts — each dealing with a time. There are about 107 chapters totally. Every chapter looks at various happenings in that period. The sheer amount of research and detail in this book is mind boggling. I was constantly finding new things to know and aha moments were a dime a dozen. For example — did you know that Leslie Charteris (author of The Saint) was originally a writer on the 1939 radio series. Next, we come to the pacing. Considering the amount of material, “From Holmes to Sherlock” is written in a fast-paced fashion which makes reading this book less onerous. Instead of being textbook like, it is like a thriller. The book is engaging and is difficult to put down for the most part. My biggest gripe with “From Holmes to Sherlock” is its tendency to jump from topic to topic in an almost unstructured fashion. I found it difficult to keep track of what was happening and who was doing what. In general, I would have liked to have more structure in this book. I would have like the book to focus more on the time starting from Jeremy Brett’s TV series to today. Most people’s fondest recollections have been shaped around this era or around the original stories. While the original stories get a good amount of attention, the former does not get enough. This is important since we would like to know more about “Sherlock” than we would around Basil Rathbone’s movies or Adrian Conan Doyle’s travails. 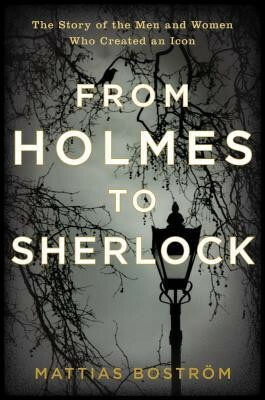 I highly recommend “From Holmes to Sherlock” despite its flaws. I think this is a brilliant book that will give a lot of pleasure and insight to any one remotely interested in Sherlock Holmes. It is expected to be published in August 2017.